← What happened to the U.S. nuclear renaissance? Terrestrial Energy, an advanced nuclear technology company bringing its Integral Molten Salt Reactor (IMSR) technology to industrial markets in the 2020s, has raised CAD$10 million in Series A funding. The names of the investors were not disclosed by the firm. The company told MIT Technology Review this week (details below) that it plans to offer its first-of-a-kind unit to a customer within the next 10 years. “Funds will be used to support the Company’s pre-construction and pre-licensing engineering, and to support further engagement with industry and nuclear regulators,” said Simon Irish, CEO, Terrestrial Energy. Readers are particularly referred to the company web page which has some very interesting information on how this technology is differentiated from other thorium reactor designs. Here are few highlights from the company’s web site. Molten Salt Reactors (“MSRs”) are nuclear reactors that use a fluid fuel in the form of a molten fluoride or chloride salt. This is a fundamentally different approach compared to conventional nuclear systems that use solid fuel. As an MSR fuel salt is a liquid, it functions as both the fuel (producing the heat) and the coolant (transporting the heat away and ultimately to the power plant). This represents a change paradigm in nuclear reactor safety: a reactor that cannot lose coolant and cannot melt down. Terrestrial Energy’s IMSR features a self-contained reactor, within which all key components are permanently sealed for its operating lifetime. At the end of its 7-year design life, the IMSR Core-unit is shut down and left to cool. At the same time, power is switched to a new IMSR Core-unit, installed a short time before in an adjacent silo within the facility. Once sufficiently cool, the spent IMSR Core-unit is removed and prepared for long-term storage, a process similar to existing industry protocols for long-term nuclear waste containment. Thorium is a naturally occurring radioactive chemical element with the symbol Th and atomic number 90. It is fertile rather than fissile, and can only be used as a fuel in conjunction with a fissile material such as recycled plutonium. Thorium fuels can breed fissile uranium-233 to be used in various kinds of nuclear reactors. Molten salt reactors are well suited to thorium fuel, as normal fuel fabrication is avoided. 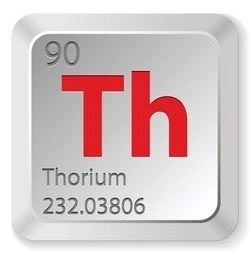 Many scientists believe thorium is key to developing a new generation of cleaner, safer nuclear power. Nabila Yousef: former Director of Pickering Engineering for Ontario Power Group. For those of you who haven’t got a lot of time to wade through a mass of technical data, the company has posted a series of videos with its principals talking about the reactor design and its main features. Dan, The IMSR is being designed to use the uranium fuel cycle. This enables the IMSR to be built with ORNL MSRE technology. Thus the IMSR will require very little research t]\, or testing of materials. Through clever design, Dr. LeBlanc gets very good fuel efficiency from its Uranium fuel.